I can’t seem to concentrate on one set of beads recently. I’m all over the place. Here’s what I made this weekend. 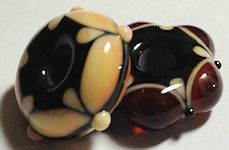 These are BIG beads. I used a 3/16″ mandrel so they have big holes too. I’m going to make more with different designs. 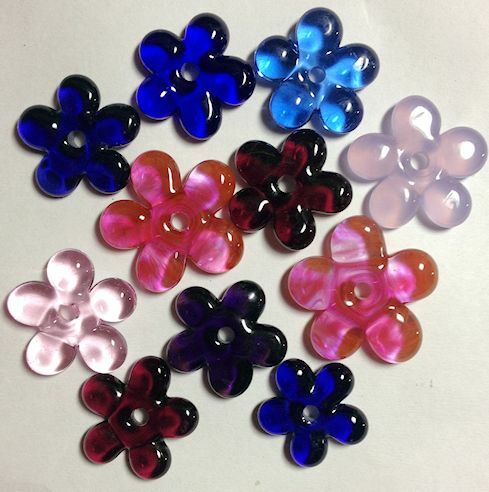 Flower beads. I like using these, hoping other people will like them too. I bunch of blue beads. 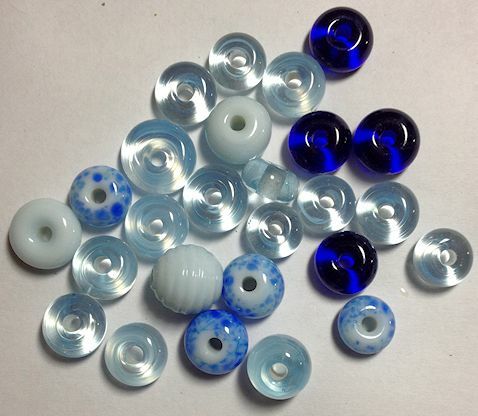 I was on my way to make a set of blue beads but got side tracked so all I have is some plain blue beads so far. Planning on making more to go with these.